NASCAR gave FOXBusiness.com an exclusive first look at a new ad campaign for the XFINITY Series. 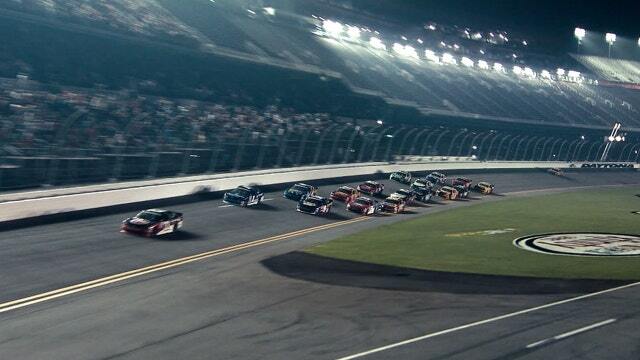 This TV spot will debut on Feb. 20 when the 2016 season begins at Daytona International Speedway. NASCAR and Comcast (NASDAQ:CMCSA), a second-year title sponsor, are going at full-speed to energize the XFINITY Series. Comcast’s XFINITY brand replaced Nationwide to headline NASCAR’s second-tier series. In its first NASCAR season, the cable TV provider focused on introducing itself to fans, said Matt Lederer, Comcast senior director of sports brand strategy. Now Comcast and NASCAR are teaming up to create a fresh look for the XFINITY Series on and off the track, aiming to build on higher ratings for social and digital platforms that are key to NASCAR’s marketing strategy. Racing fans will see the XFINITY Series in a new way on TV broadcasts and across digital platforms. Executives say updated advertising material will better highlight the racing circuit’s young, up-and-coming drivers. The XFINITY Series is also taking a page from the Sprint Cup Series playbook by adopting the popular Chase format. Like the Sprint Cup, the XFINITY Series will follow a playoff-style schedule that eliminates drivers down to a final four who compete for the championship in the season’s final race. The Chase will extend to the Camping World Truck Series as well, bringing consistency to all three NASCAR series. The revamped XFINITY Series will make its debut with the PowerShares QQQ 300 at Daytona International Speedway on Feb. 20, airing on FS1. FOX Sports is owned by 21st Century Fox (NASDAQ:FOXA), the parent company of FOXBusiness.com. Phelps said giving the XFINITY Series a new look sets the brand apart from its big sibling. In another recent change to the XFINITY Series, Dash 4 Cash turns four races into battles for cash prizes. Each race is split into two heats, and the winners face off for the cash in the main event. NASCAR has seen several XFINITY drivers advance through the system. Chase Elliott, the 2014 XFINITY Series champion, is now a Sprint Cup Series rookie who won the pole position for this weekend’s Daytona 500. Elliott races the iconic No. 24 car vacated by Jeff Gordon, who retired after the 2015 season. Likewise, Austin Dillon is behind the wheel of the No. 3 car once driven by Dale Earnhardt Sr. The tagline “Names Are Made Here” reflects a broader effort by NASCAR to develop talent and help drivers establish a brand for themselves even before they graduate to Sprint Cup races. NASCAR Next is a program that helps budding drivers who are racing for careers in NASCAR. Past participants include Elliott and 2014 Sprint Cup Series Rookie of the Year Kyle Larson. Another development program, Drive for Diversity, seeks to prepare minorities and females for careers as drivers, crew members and more. On the business side, Comcast is building closer ties to NASCAR. The company’s TV subscribers have access to iconic Daytona 500 races on-demand, and during 2016 races, they can call up a live leaderboard and stats on their screens. According to NASCAR data released last year, more than one-in-four Fortune 500 firms are NASCAR sponsors. A total of 130 companies invest in NASCAR, a 20% increase since before the 2008 recession. Phelps sees momentum overall in NASCAR, and the XFINITY Series is expected to play a larger role moving forward. “You can feel the excitement on the XFINITY side of the garage. Partly because of Comcast’s role in it, partly because of new positioning we started last year, and definitely because of the new format,” Phelps said.